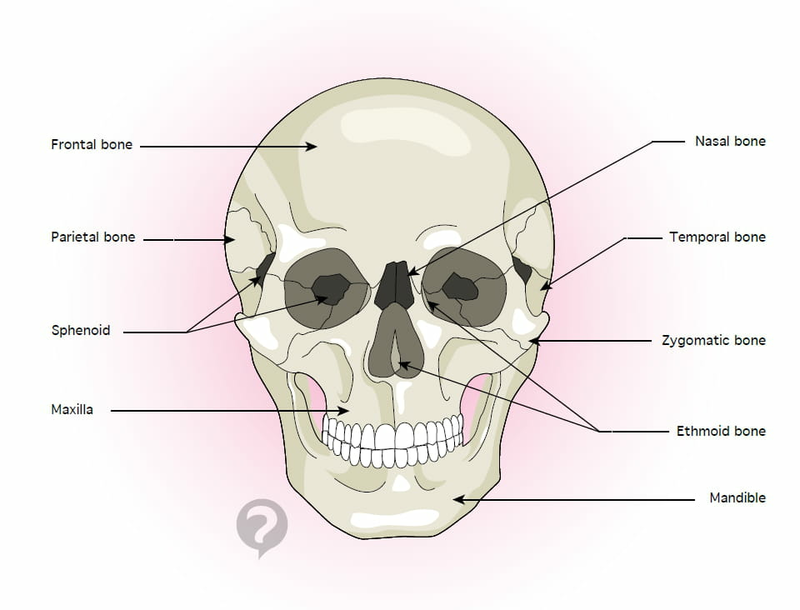 The frontal bone is a bone of the skull and the human face. It is one of the bones that are present in only a single copy in the human body. It constitutes a median bone that works alongside many other skull bones, such as the ethmoid, sphenoid, parietal, nasal, jaw, zygomatic, and lacrimal bones. It is also from the frontal bone that both frontal sinuses emerge. Original article published by Jean-François Pillou. Translated by christelle.b. Latest update on August 20, 2014 at 05:44 AM by christelle.b. This document, titled "Frontal bone," is available under the Creative Commons license. Any copy, reuse, or modification of the content should be sufficiently credited to CCM Health (health.ccm.net).